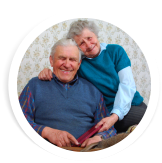 E & R Home Health Care Provider works with a mission to enhance the overall quality of life of our clients who are declared homebound by their physicians. Often, being homebound is due to illness or old age. Some are temporarily homebound following a recent major surgery or injury. You may have a family member in the same situation where mobility is difficult and they need constant health monitoring by a care professional. 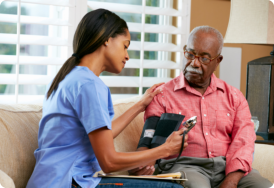 What E & R Home Health Care Provider can do is to visit you at home so you don’t need to repeatedly travel to and from a care facility to get your health checked. 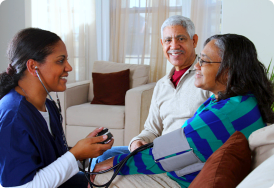 Home Care or Visiting Nurse Services are the more convenient alternative, not to mention less costly. E & R Home Health Care Provider provides equal career opportunities for employees and services for clients. In compliance with Title VI of the Civil Rights Act of 1964 and Title II of the Americans with Disabilities Act of 1990, the company ensures that all eligible clients shall receive services due without unlawful discrimination against religion, national origin, gender, disability, sexual orientation, color, race, age, source of funds or veteran status.